Accumulating 108k fans on Facebook with no marketing assistance and zero radio play, the brazen emcee opted only to self-promote via monthly video uploads to YouTube, some of which received up to 60,000 views in 48 hours. Kerser’s debut effort The Nebulizer ran down the gates of convention in 2011. Second album No Rest for the Sickest, was released Nov 2012 (Kerser N Nebs Records, Obese Distribution) taking business to a whole new level. 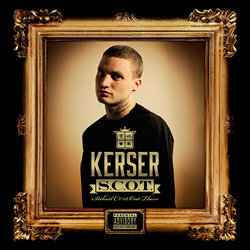 Kerser had created an honest, raw and ruthless sophomore album, his notorious conviction still intact. In the weeks surrounding the release, No Rest for the Sickest charted at #1 on the national ARIA Urban charts, #1 on the iTunes Hip Hop charts, and #14 on the overall iTunes charts (not to mention the lesser known accolade of ‘Most Stolen Album From JB HiFi’).